The auto industry wants bigger trucks and tax incentives for using cleaner fuels, according to an internal strategy paper on cutting greenhouse gas emissions that was seen by euractiv.com. Car manufacturers have pushed back against the European Commission’s plans to regulate trucks’ fuel efficiency levels. Later today, the executive will present plans to do exactly that—by 2019, the Commission wants to propose the first binding EU-wide standards for truck fuel efficiency. Fuel consumption from passenger cars is already regulated under EU law. The European Automobile Manufacturers Association (ACEA), the Brussels-based lobby group for the industry, opposes a strict legal regulation. “Considering the complexity of the truck market, including trailers with several thousand shapes and sizes, CO2 reduction policy for heavy-duty vehicles should not follow the same approach as that for passenger cars,” a spokesperson for the association said. Instead, the group wants the Juncker Commission to approve heavier and larger trucks if they move to cleaner fuels. ACEA met with car manufacturers on 5 July to discuss its plan and will publish details this autumn on how it wants to cut emissions by 2030. Trucks in the European Union are no more fuel efficient than they were more than a decade ago, according to a report released on Thursday (3 December), as calls increase for emissions from heavy duty vehicles to be regulated in the same way as cars. Some EU countries won’t be happy about ACEA’s pitch to have bigger trucks on highways. 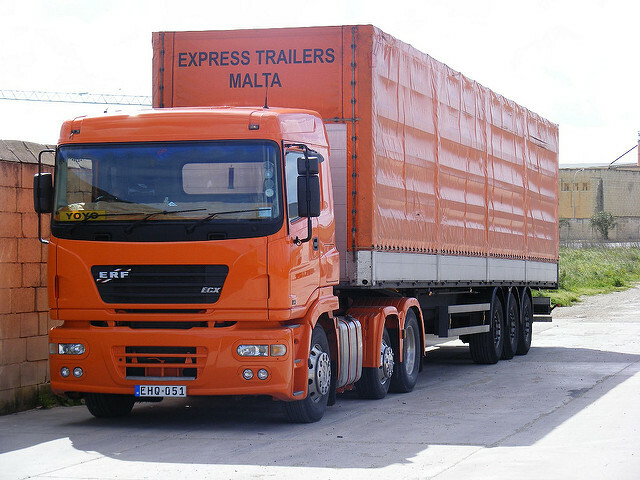 The Commission has previously sparred with member states over the size of trucks allowed in the EU. Last year, the group put out a list of demands to lower truck emissions by 2020, including better paved roads and a pledge to teach truck drivers to drive in a way that limits pollution. In total, ACEA estimated that their suggestions would cut emissions by 3.5% compared to a binding regulation for vehicle efficiency. An ACEA spokesperson declined to comment on how much emissions could be cut under the new plan because the strategy is not yet public. According to the strategy paper, the group wants to “allow extra weight and space for alternatively-fuelled truck-trailer combinations”. 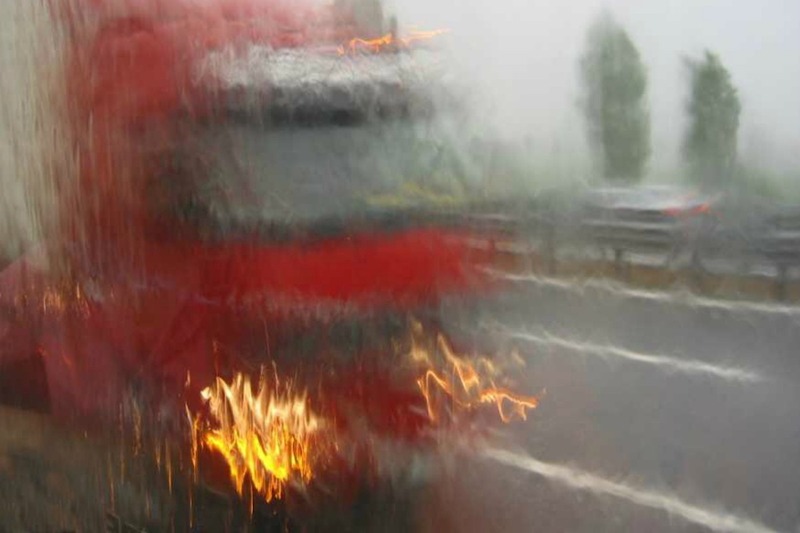 The industry association also wants EU countries to follow the same criteria for tax breaks on new trucks that produce lower carbon emissions. A representative from the International Road Union (IRU), which represents road transport companies, said the tradeoff of bigger but fewer trucks on roads wouldn’t hurt the road freight industry. “The sector is already facing today a driver shortage. Transport companies are constantly looking for skilled drivers. That is a challenge the sector has been facing for a number of years already,” said Marc Billiet, who heads EU shipping and environmental policy at the IRU. 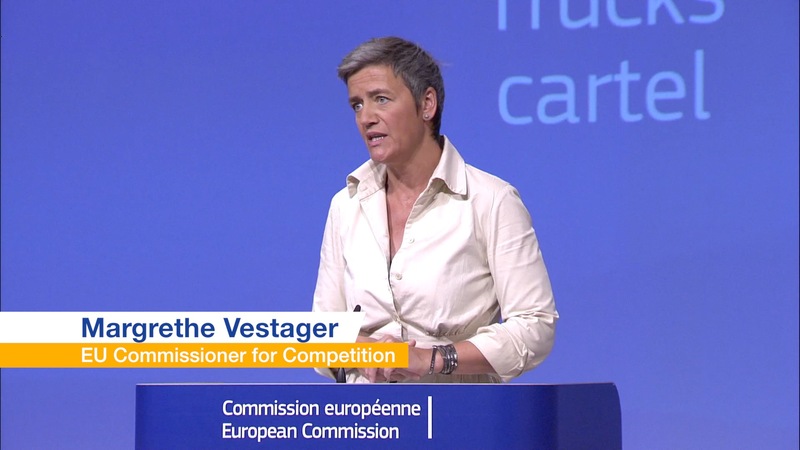 Yesterday (20 July), the European Commission imposed a record fine of €2.93 billion on truck manufacturers Daimler, Iveco, Volvo/Renault and DAF for participating in a cartel, colluding on prices and coordinating when they introduced new emissions technology. The European Commission has imposed a fine of almost €3 billion on truck makers MAN, Volvo/Renault, Daimler, Iveco, and DAF after they broke EU antitrust rules.